Share your special day with family and friends in exclusive privacy, surrounded by 73 acres of lush countryside with spectacular ocean and valley views. The unique hinterland charm of Summergrove Estate will create a lasting impression for your wedding day, with the stunning outlook from our extensive grounds, including rustic vineyard, olive groves, orchards and towering fig trees offering an infinity of priceless photo opportunities. 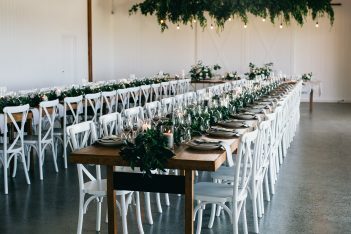 With exclusive use packages, Summergrove Estate is one of Australia’s most private and picturesque wedding destinations. Utilising our specialist facilities and vast network of wedding professionals, we are able to cater to your individual needs to personally tailor the perfect package for your special day. Our facilities include onsite romantic accommodation with log fireplaces and spa baths, garden and ocean-view chapel ceremony locations, indoor restaurant, outdoor restaurant, or the barn reception venues, innovative wedding menus created by our on-site chef, lawn tennis court, resort pool and private beauty room. 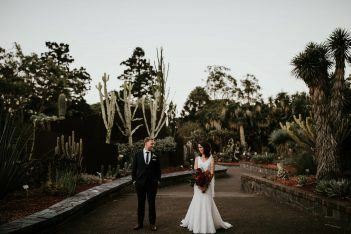 "”My Husband and I were recently married at Summergrove Estate and we were so happy with everything from the initial enquiry when we met with Donna onsite and Zoe the best wedding coordinator but most importantly how smoothly our special day ran. 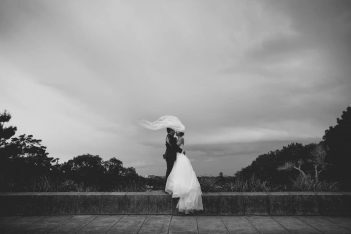 -Samantha & James, wedding couple"
"”I’m just going to put this simply…there is no better place that you could possibly want to get married! We were married at Summergove on 12th Aug 2015 and it was perfect in every way. The exclusive use of the property is such a lovely touch and made the entire experience so special, rather than sharing the villas/property/restaurant with people that we didn’t know. The food is too good for words to even express, and the view! It speaks for itself! "“Leaving Summergrove Estate was one of the hardest things I’ve done!! We had our ceremony dinner with 10 special guests and accommodation in there amazing villas all in one. The views are breathtaking, the food is absolutely to die for and the staff are some of the most hard working friendly people I’ve ever met. Donna and her team truly made our wedding day something will never forget. Matthew and I feel very blessed to have spent time at a place like Summergrove. Not a single fault. If I could give 100 stars I would. Xoxox Thank you so much and we can’t wait to see you again”. -Kirra & Matt, wedding couple"